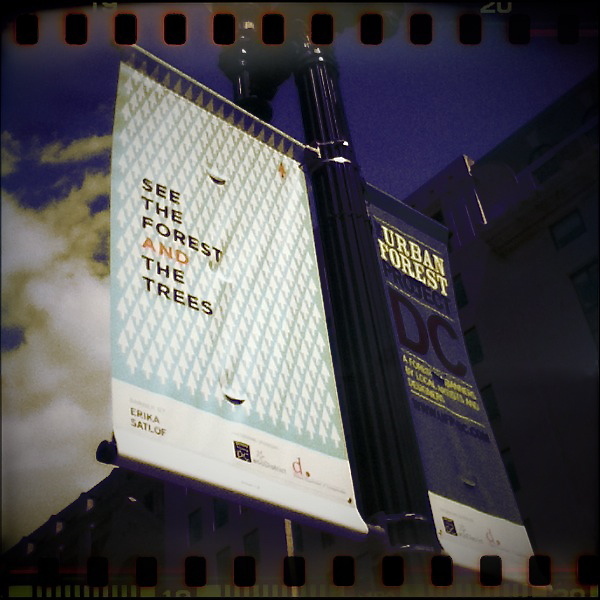 The Urban Forest Project D.C.
One day last month, I was out for a lunchtime walk in downtown D.C. when I noticed a poster on a nearby light pole. “See the forest and the trees,” it read. That is a really good poster to hang near an office full of analysts. A few days later, I noticed more posters scattered about the downtown area. All of them were accompanied by another poster mentioning the “D.C. Urban Forest Project.” Finally, my curiosity could stand it no more and I went to my good friend the Internet to find out what the heck the Urban Forest Project was. 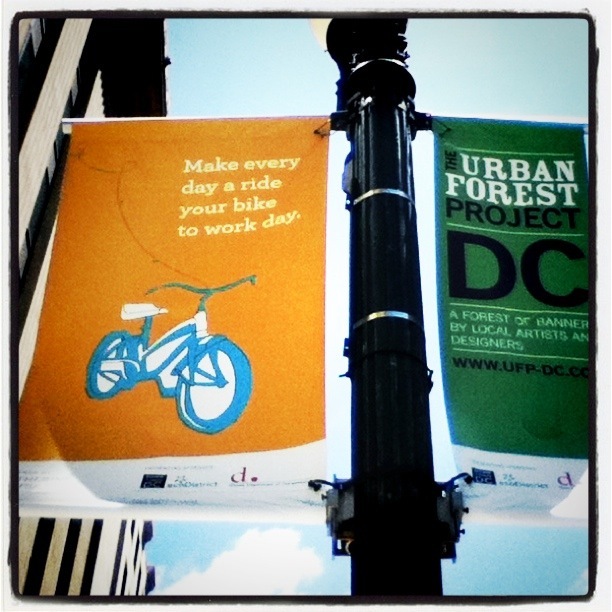 The Urban Forest Project is a “unique environmental, public arts and educational initiative.” Basically, it is an urban outdoor art exhibition going on NOW in Washington, D.C. Artists have designed banners (not posters! ), using the tree as inspiration, and they are currently on display in certain parts of downtown. The first city to sponsor an Urban Forest Project was New York. Since then several other cities, including Washington, D.C., have joined in the fun. You don’t have to work downtown to tour the posters banners. You can take a virtual tour via the D.C. Urban Forest website. You should check them out. There are several that call upon the tree and the bicycle for inspiration. It is thought-provoking to walk amid the asphalt jungle and ponder the various messages and visual depictions on these banners. I’m not sure how we get to a tree-filled city that isn’t so full of concrete and metal, but I like considering it. Below is a banner that captures something else I like contemplating. Make every day a ride your bike to work day. What would life be like if more people decided to leave the car at home and ride a bike to work? What if our workplaces actively supported and promoted bike commuting? What kinds of changes would we see in our city then?